There is a trio of academics charged with the job of reinforcing the StopAdani coalition narrative as it relates to native title. They lie and prevaricate to shape perceptions about the functioning of native title and the place of the struggles of the Traditional Owners in the Galilee Basin; along Adani’s proposed rail corridor; and at Abbot Point. 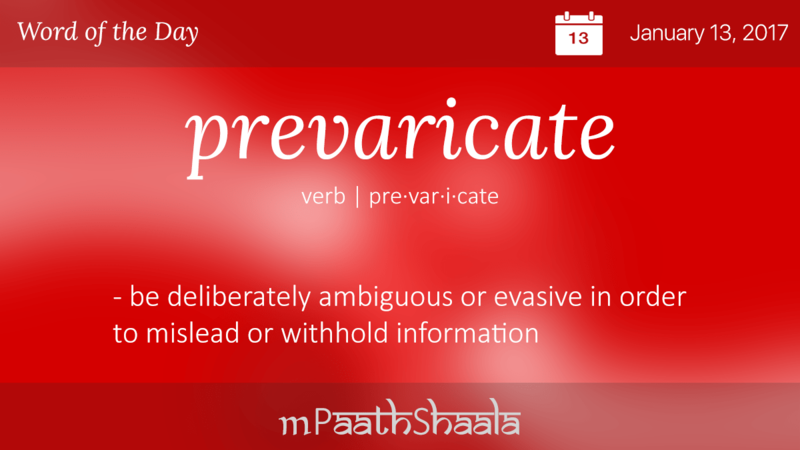 To prevaricate is to lie using devious means like silence. I will show that Quiggin et al not only prevaricated in their collected writings since June 2016, they also repeated a bare faced lie about a controversial “Self-determined authorisation meeting”. Who has claim to the name “W&J”? This trio were first brought together under the banner of the Global Change Flagships Projects through the Global Change Institute at the University of Queensland. The Wangan Jagalingou Traditional Owners Aboriginal Corporation and Family Council and Australian Lawyers for Human Rights are listed as partners in the project called ‘We Are The People From That Land: Centring Indigenous Peoples’ Rights in the Transition to a Sustainable, Low-Carbon Future’ which is funded by impact philanthropist and long term supporter of anti coal campaigns in the Galilee Basin, Graeme Wood. The project effectively frames out all other Traditional Owner groups affected by the development of the Galilee basin coal complex other than the Wangan and Jagalingou people. The Wangan and Jagalingou organisation who partner in this project represent a faction of the Wangan and Jagalingou claim group within the native title system. Their collected works suggest that Quiggin et al are attending to the issue of native title in connection with the development of a particular coal mine, but what they have actually done is accept the prescribed spotlighting of one Traditional Owner group that is part of a larger claim group that is one of four Traditional Owner groups in the proposed coal complex. All four Traditional Owner groups had to contend with the native title system and may have been unduly pressured with threats of compulsory acquisition during negotiations. Three of the four groups had signed ILUAs over the crucial rail corridor. One of those Traditional Owner groups is embroiled in the controversy over the little reported corporate failure of Kyburra Munda Yalga Aboriginal Corporation which was presided over by the treasurer and Townsville director of the North Queensland Land Council. Rather then presenting any arguments about why only one Traditional Owner group should be spotlighted, the partners in ‘the project’ chose silence. None of the Traditional Owners struggles along the rail corridor and at the proposed port were ever discussed in the collected writings in which Quiggin et al give a voice to ‘the project’ partners. Spotlighting casts all others into shadow. It is a passive strategy that supports the wider narrative of the project funder and other stakeholders like Earth Justice who are allied with Stop Adani coalition leaders the Australian Conservation Foundation. The Stop Adani narrative holds that we need to stop Adani’s mine and that the Wangan and Jagalingou are the last line of defence against a mining company with the local, state and federal governments, and the native title system on it’s side. The development we are asked to resist is “the mine” and the Traditional Owners we are asked to support are “the W&J”. But when we acknowledge that we are witnessing the development of a coal complex, then economic reality – if we believe that the native title system fails to deliver justice to Traditional Owners – requires that we look without bias at the whole context in it’s diversity. We should be looking at the indigenous land use agreements (ILUAs) that form the milestones that make the coal complex possible. If we did this we would be considering the political economy of the entire proposed developments. Spotlighting frames out reality, creates silences where there ought to be investigation, and raises serious doubts about claims of solidarity with Traditional Owners. Quiggin et al assisted in shaping the StopAdani coalition narrative through their prevarications in a report called ‘Unfinished Business’ which forms the basis of the arguments presented in an article for The Conversation and a 5 part series in New Matilda called ‘Killing Country’. These writings, none of which contain citations, reveal strategic silences, manipulation of language, and outright lies. The prevarications leave members of the public uninformed about the functions of the native title system and create a picture of Indigenous struggles that spotlights one group and one mine amid the development of a complex of mines, rail, and ports. The collected writings of Quiggin et al were published contemporaneously with writings by members of the Wangan Jagalingou Traditional Owners Aboriginal Corporation and Family Council (W&J FC). There are some key differences in how the W&J FC describe significant and controversial events such as the March 2016 ‘self determination’ meeting that is the subject of a legal judgement made in April 2017, and the determination meeting held in April 2016 that is the subject of a forthcoming judgement. Quiggin et al framed Adani as responsible for manipulation of voting meetings by deemphasising the functioning of certain organisations that perform an essential function within the native title system. These organisations, known as Native Title Representative Bodies (NTRBs), plan and deliver the voting and decision making meetings that determine if land use agreements get approved. NTRBs perform these functions as representatives of the claim group by liaising with the applicant group, mining companies and other entities who seek to make agreements. They provide legal support, manage apical ancestor lists, handle logistics for authorisation meetings, and certify that authorisation meetings were delivered to the standards set out by the Native Title Act. Their role is absolutely essential to the functioning of the native title system. A familiar critique of the native title system is offered in the first of the collected writings, ‘Unfinished Business’. I can’t say I disagree. Quiggin et al argue that NTRBs could be seen as “facilitators and enablers” for the “settler-state regime”. This assertion is has some substance and there exist evidence and case studies to support that argument. Those case studies and evidences appear in more often in court documents than in publicly available communications from the National Native Title Tribunal (NNTT) or any other entity. Those court documents contain the most detailed explanations of the functioning of NTRBs that are available to the public. It is only through analysing how NTRBs serve the interests of mining companies to the detriment of the Traditional Owners in the process of negotiating ILUAs that we can understand how they become facilitators of the coloniser agenda. NTRBs ostensibly act for the Traditional Owner claim group through the applicant groups, registered native title bodies corporate (RNTBCs), common law land holders, and other nominated bodies. It is only through a thorough examination of the processes revealed largely through court documents that any assessment of the appropriateness of the actions of NTRBs can be made. Native Title Representative Bodies (NTRBs), appointed under the NTA, were established to assist Indigenous people with their claims. NTRBs are ostensibly facilitators of Indigenous access to native title rights, and indeed they do serve that function. But the extent to which native title facilitates industry access to Indigenous lands also arguably positions NTRBs as facilitators and enablers of a settler-state regime that is ill-disposed to substantive recognition of Indigenous rights on Indigenous terms. A large part of the W&J’s grievance and grounds for contestation relate to their claims about the way in which QSNTS oversaw and Adani ran the meeting. The W&J also contrast what they see as QSNTS facilitation of a meeting for Adani’s benefit with QSNTS’s refusal to assist with, and active opposition to, the W&J’s efforts to hold the aforementioned “self-determined” meeting. Quiggin et al did not make reference to QSNTS or the role of NTRBs in their article in The Conversation or in any of the first four parts of the ‘Killing Country’ series. What started as reportage of a position of project partners the W&J FC became a talking point employed by Quiggin et al for the majority of the ‘Killing Country’. The collected works span roughly 7 months. W&J describe a “self-determined” meeting held in March 2016 as also confirming, for a third time, they were resolute in rejecting any offer from Adani in exchange for the extinguishment of their native title rights. Quote – The Conversation. ‘The last line of defence: Indigenous rights and Adani’s land deal’. While Adani has filed for registration of an Ilua, the W&J calls it a “sham”, asserting that the Wangan and Jagalingou people have rejected a deal with Adani on three separate occasions since 2012. In Killing country parts 1,2,3 & 5 the assertion was made that the March 2016 ‘self determination meeting was “bona fide”; that it was a ‘claim group’ meeting; that the Adani ILUA was “rejected”; that the meeting was the third such meeting to reject the ILUA. All such claims hinge on the March 2016 ‘self determination’ meeting adhering to requirements of the of the NTA. What differentiates the Wangan and Jagalingou is that they are the only Traditional Owner group, through the Wangan and Jagalingou Traditional Owners Family Council (W&J), who have said no – on 3 occasions, at bone fide meetings of the Native Title Claim Group – to an Indigenous Land Use Agreement with Adani. W&J have said no, on three separate occasions at bone fide meetings of the claim group, to a registered Indigenous Land Use Agreement (ILUA) with Adani. In ‘Burragubba on behalf of the Wangan and Jagalingou People v State of Queensland  FCA 373 (11 April 2017)’ Justice Reeves found that the March 2016 ‘self determination’ meeting was called for a minority of the Wangan and Jagalingou claim group and that the meeting was not a legitimate authorisation meeting. 37. First, as has already been mentioned above, the central purpose of the 19 March meeting, as disclosed by the notice for that meeting, was to address concerns held by a minority of the members of the existing W & J Applicant and those members of the W & J claim group who held the same concerns, relating to the ILUA negotiations with Adani. 35. It follows that the notice was not, by its terms, a notice directed to all the members of the W & J claim group notifying them that an authorisation meeting had been convened for that claim group to consider the authority of its authorised applicant for the purposes of ss 66B and 251B of the NTA. That being so, it could not result in a meeting being convened that would be fairly representative of the views of the whole of the W & J claim group concerning the membership of the W & J Applicant. It therefore follows that the replacement applicant is not able to rely upon resolution 12 passed at that meeting for the purposes of establishing condition 3 (s 66B(1)(a)(iii)), or condition 5 (s 66B(1)(b)). The entire collected works of Quiggin et al as part of their partnership with the Global Change Institute were published after the April 11, 2017 judgement. Not one of the 7 pieces makes any mention of Justice Reeves’ judgement that the meeting was not a valid claim Wangan and Jagalingou claim group meeting. Any claim that the March 2016 ‘self determination’ meeting was “bona fide” is an assertion that the meeting was seen as satisfying the requirements under the NTA which it certainly did not. The continued claim to the legitimacy of the March 2016 meeting after the April 2017 judgement served to preserve a talking point that had been presented by the W&J FC in the year preceding the April 2017 judgement. It also served to mask the factional nature of the W&J FC and the meeting they facilitated. The March 2016 ‘self determination’ meeting was a gambit designed to unseat the NTRB the was continuing to act for the claim group and seven of the applicant group members. If given effect under the NTA the actions taken at that meeting would serve to reform the delivery of W&J claim group meetings under the auspices of the W&J FC faction. The W&J FC issued a reply to a Warren Mundine piece from shortly after the April 11 judgement. Here the W&J FC authors conflate the W&J claim group with the W&J FC who boycotted the April 2016 claim group meeting. Only by conflating the W&J FC faction with the W&J claim group, and by misrepresenting the established illegitimacy of the March 2016 meeting, is it possible to make the claim that the Adani ILUA was rejected “three times”. Here’s a quote from the W&J FC reply to Warren Mundine that shows the talking point they retained after the April 2017 judgement and in the lead up to the publication of ‘Unfinished Business’. The “one individual, holding himself out as representing the group” that Mundine disparages is assumed to be the one person who voted ‘no’ at the Adani meeting. We know that’s a reference to the Councils’ leader, Adrian Burragubba. But he wasn’t even at that meeting; and Mr Burragubba is backed by the family representatives and the W&J claim group who rejected Adani three times before. He is joined in litigation against the mining leases and the dodgy ILUA by other members of the registered claimant. He is also a member of the W&J Applicant and has uncontested rights as a primary Traditional Owner for the land on which Adani wants to build its mine. In May 2017 W&J FC authors asserted that they have a mandate to object to Adani on behalf of the W&J claim group. The W&J Traditional Owner Council, including representatives of 9 of the 12 apical families, has upheld the original decisions of the W&J claim group to reject an ILUA with Adani, and has followed through on the mandate given it to object to Adani’s deal. This submission by the W&J FC to the Committee on the Elimination of Racial Discrimination in October 2017 shows that they retained their talking point even in the face of the Office of the United Nations High Commissioner for Human Rights. Despite our rejections, Adani persisted, and our people again rejected an ILUA and any further dealings with Adani in March 2016. The group referred to as “W&J” in the collected writings of Quiggin et al is the Wangan and Jagalingou Traditional Owners Family Council. When I write about this particular entity which is effectively the same entity as the official partner organisation for the Global Change Institute project, I refer to them as W&J FC. It makes common sense that the earliest and most formally composed entity should be referred to with the initials W&J. In this instance the title “W&J” ought to refer to the Wangan and Jagalingou People claim group for the purposes of native title claims and determinations. The W&J FC can be shown to have splintered off from the original claim group. The use of “W&J” to refer to a faction of the wider claim group serves to create the suggestion that the W&J FC are the active party representing the claim group in native title matters. This statement clearly delineates the two entities while conferring the assignation W&J onto the group formed after mid 2014 when the claim group rejected a second ILUA. The W&J first refused an agreement with Adani in 2012 and launched their public campaign in 2015, and since then have sustained a complex legal campaign that is now coming to the pointy end, with an outstanding case to be heard in March 2018. There is no evidence to show that the W&J FC and associated entities existed in 2012. The above statement to conflate the W&J FC with the W&J claim group through the suggestion that the same entity rejected the same Adani ILUA at bone fide claim group meetings in 2012, 2014, and 2016 which is not the case. There are numerous examples predating and following the collected writings of Quiggin et al showing journalists, politicians, and corporate spokespeople using “W&J” to refer to the “Wangan and Jagalingou people” or “W&J people” or the “W&J claim group”. From a story posted to the W&J FC website announcing the March 2016 meeting as a success. In a landmark moment of self-determination and a major blow to the Adani Carmichael coal mine, the Wangan and Jagalingou (W&J) people, traditional owners of the proposed mine site in QLD’s Galilee Basin, on the weekend voted for the third time to reject a land deal with Indian giant Adani for its proposed mega-mine. W&J traditional owners came from all over Queensland to a meeting of the claim group and made it clear they will not be dictated to by a mining giant and manipulated by a complicit Government. W&J traditional owner and spokesperson, Adrian Burragubba said, “Our people voted unanimously at an authorisation meeting to reject Adani’s repackaged deal, and to condemn them for falsely representing the position of the W&J people. We confirmed that no further negotiations with Adani will take place”. The vote on Saturday follows two previous decisions of the majority to reject the Carmichael Mine, in 2012 and 2014, and heads off a third attempt by Adani to force a land use deal onto the W&J people. It’s important to note that the National Native Title Tribunal had not had any time to respond to or process the outcomes of the March 2016 meeting at the time of the above statement. Here’s a quote from a speech by Adrian Burragubba at the April 2016 Beyond Coal and Gas Conference. In the same speech Adrian Burragubba shows that his thinking does not encompass the entire complex or the threat posed to W&J country by proposed rail corridor for which three other Traditonal Owner groups have signed ILUAs. His thinking does not seem to take account of the many other mines that a completed standard gauge rail project could help open upin the Galilee Basin to the North and South of the Carmichael mine site. The ‘solidarity’ with Traditional Owners exercised by Quiggin et al is entirely contingent on the framed experience of one faction of one Traditional Owner group. While Adrain Burragubba states that he is concerned with the “big picture”, neither he nor any of his non-Indigenous allies have ever discussed or acknowledged the native title based struggles of the other Traditional Owners in the Galilee Basin coal complex area. The phrase “Centring Indigenous Peoples’ Rights” appears in the name of the project for which Quiggin et al are the collective voice. This suggests that the experiences of all the Traditional Owners in the Galilee Basin coal complex ought to be considered. The failure of Quiggin et al to explicitly acknowledge the other Traditional Owners in the Galilee Basin coal complex demonstrates that no actual “centring” is taking place. As far as I’m concerned solidarity with Traditional Owners requires consideration of the whole political economy. That means looking at the experiences of all the Traditonal Owners involved and consideration given to the effects of the threat of compulsory acquisition on the negotiating position of Traditional Owner groups who also negotiated with Adani. I’m left with the question of what can be expected of someone like Adrian Burragubba? Is it enough that his struggle and the struggles of his people and his family council may reveal the failures of the native title system in the context of mining developments and the manipulations of the local, state, and federal governments? Personally, I think Adrian Burragubba and the W&J FC have been captured by interests with a desire to keep the narrative about native title in the development of the Galilee Basin coal complex simple, one group fighting valiantly to stop a mine. This places the W&J FC at risk of completely missing the opportunity of stopping the rail line which will deliver a potential flood of mines that will swamp their country in the future. Those interests who’ve captured the W&J FC do not fight to win the battle against the coal industry, rather, they fight to achieve attention metrics and further the interests of their funders who are largely based in the US. They are more concerned with ‘the narrative’ then they are about effective strategy. There is no strategy to stop the rail line. The “last line of defence” refrain from The Conversation article by Quiggin et al serves to frame the Carmichael mine project, and thereby the Traditonal Owners seen to be offering resistance to that project, as the primary means by which Adani poses a threat. By framing the Carmichael mine as the crucial project to stop, those who employ the “last line of defence” refrain further obscure the means of export – the North Galilee Basin Rail Project – that makes the Carmichael mine and all the other proposed mines in the Galilee Basin possible. The Adani mine-rail-port project is not commercially viable, even under the most optimistic assumptions. That Adani has failed to achieve final close reflects the dubious economics on which this project is based. While much remains obscure, it is clear that any public funds advanced to the project – a project that does not have the consent of the Traditional Owners – will be at high risk of loss. The “Adani mine-rail-port project” does indeed – under the native title system – have the consent of the four Traditional Owner groups at the port, along the rail corridor, and at the mine site. In the above quote Quiggin et al conflate the coal complex with the mine while conflating the W&J FC with “the Traditional Owners”. This conflation reveals a fundamental failure to reflect the political and economic reality of the coal industry that their allies claim to be resisting. This can only lead to entrenched failure. Quiggin et al appear to not be motivated by the desire to faithfully describe the relationship between multiple Traditional Owner groups and the leading proponent of a coal complex spanning a vast area. Though they acknowledge that the native title system offers weak ‘rights to negotiate’ and limited agency to exercise ‘rights and interests’, they resile from acknowledging the struggles of the majority of Traditional Owner groups who have negotiated with Adani under the same threat of compulsory acquisition. As the voice of a project with partners involved in climate change campaigning, human rights law, environmental law, and the protection of sacred country, Quiggin et al were delivered talking points and framings that compelled them to direct their writing and perhaps their own thinking away from the ethical application of social and economic analysis. They focused their investigations and analysis on a deliberately isolated component project of a much larger development through their remit to make their analysis support the talking points of a faction of a single Traditional Owner group. Justice Reeves will provide his judgement on the very serious objections about how the April 2016 claim group meeting was run in the near future. The judgement will be controversial no matter who it favours. It will reveal detail about the function of Queensland South Native Title Services as the Native Title Representative Body for the Wangan and Jagalingou People claim group. The W&J FC present many many legitimate questions for which the answers would be highly enlightening to many students and academics in the fields of law, anthropology, and political economy. In their March 2018 statement following Justice Reeves holding over his judgement regarding the April 2016 claim group meeting the W&J FC rightly point out that all members of the applicant group were notified by the Coordinator General of an intention to compulsorily acquire “all” W&J native title. They ignore the claim that those individuals who engineered the deal with Adani say they were coerced by the Coordinator General by a threat of losing all native title rights. The March 2018 statement discussed above is the only publication I could find in which the W&J FC go into any detail about the functions of the QSNTS while actually naming them. I would argue that the W&J FC deliberately framed Adani as the active agent in manipulating the April 2016 claim group meeting by avoiding mention of the role and functions of the Queensland South Native Title Service in delivering authorisation meetings. The forthcoming judgement by Justice Reeves will show the depth of involvement of QSNTS in delivering the April 2016 claim group meeting and reveal Adrian Burragubba’s and the W&J FC’s Adani blaming as a misrepresentation of the functioning of the native title system in the delivery of authorisation meetings.